India’s own Arjun tank is finally proving its worth. Despite continuing criticism from an army establishment that judges the Arjun far more strictly than foreign purchases like the T-90, the Arjun is successfully completing a gruelling 5000-kilometre trial in the Rajasthan desert. 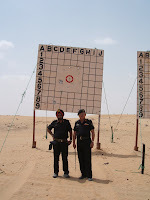 During six months of trials, the Defence R&D Organisation (DRDO), along with tank crews from the army’s 43 Armoured Regiment, have proved not just the Arjun’s endurance, but also the ability of its computer-controlled gun to consistently blow away suitcase-sized targets placed more than a kilometre away. The army’s Directorate General of Mechanised Forces (DGMF), which must eventually okay the tank, is not impressed but key decision-makers are rallying behind the Arjun. The head of the Pune-based Southern Command, Lieutenant General N Thamburaj, strongly backs the Arjun. On a visit to the Mahajan Field Firing Ranges in Rajasthan to watch his troops exercising, Lt Gen Thamburaj noticed the Arjun firing nearby. 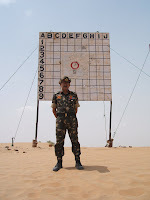 After walking across, he was invited by the DRDO team to drive and fire the tank. Half an hour later, the general was an Arjun backer; two holes in the target he aimed at testified that a soldier without previous experience operating tanks could get into the Arjun and use it effectively. But the establishment was quick to strike back. Barely three months after that report, the commanding officer of 43 Armoured Regiment, Colonel D Thakur, was confronted by then Director General of Mechanised Forces, Lt Gen DS Shekhawat. Eyewitnesses describe how he was upbraided for “not conducting the trials properly”. But in a career-threatening display of professional integrity, Colonel Thakur’s brigade commander, Brigadier Chandra Mukesh, intervened to insist that the trials had been conducted correctly. In a series of interviews with the army, including the present Director General of Mechanised Forces, Lt Gen D Bhardwaj, and with the MoD top brass, Business Standard has learned that opposition to the Arjun remains deeply entrenched. This despite the soldiers of 43 Armoured Regiment declaring that if it came to war, they would like to be in an Arjun. With new confidence, the Arjun’s developer, the Central Vehicles R&D Establishment (CVRDE), is arguing strongly for “comparative trials”, in which the Arjun would be pitted head-to-head, in identical conditions, with the army’s T-90 and T-72 tanks. But the DGMF continues to resist any such face-off. I think Karan Thapar should do a "Devils advocate" DGMF. why wont they resist fair tests? You see every major defense deals involving bribes and corruption. Dont you see think the top brass gets a big cut of the action by keeping indegenous efforts at bay?? Nothing wrong with the system(of testing) or the product(Arjun). It is the people who need to change..
Guys, its arrogance not corruption. The army thought that the good for nothing bloody civilian DRDO was useless (irrespective of what the reality was) and proceeded to plonk taxpayer rupees in the hundreds of crores and now thousands on russian t-90s. Because, you see, the russians, being whiteskinned and tough and slavic, unlike the potbellied dark drdo scientists, would make good tanks. Well, reality bites. And now the DGMF is scrambling to save their a$$ by making sure the Arjun doesnt show itself to be superior to the T-90 and send a bunch of Gens careers to the toilet. Praising the Arjun, I am told, in front of the brass, is akin to career suicide. This is the reality. No matter what the DRDO does, whether it be Akash or Arjun, the Haw-Haw General and Air Marshal Blimps in the AF and Army will object. Its only good enough, if its from them abroad guys, old chap and toodle hoo and all that, what say? Having been part of the clique, I can tell you, this inherited Brit contempt for the civvie side of things, has really mucked up many things. And of course, its paid back by the bureaucrats- see the 6th pay commission disgrace upon how they have treated the services! I am glad shuklaji that you have brought these things in public with facts , figures & names. This article must be ringing alarm bells some where or the other. Your live must be in danger. You don't no these arms mafia, the have lots of money , power & political connection. 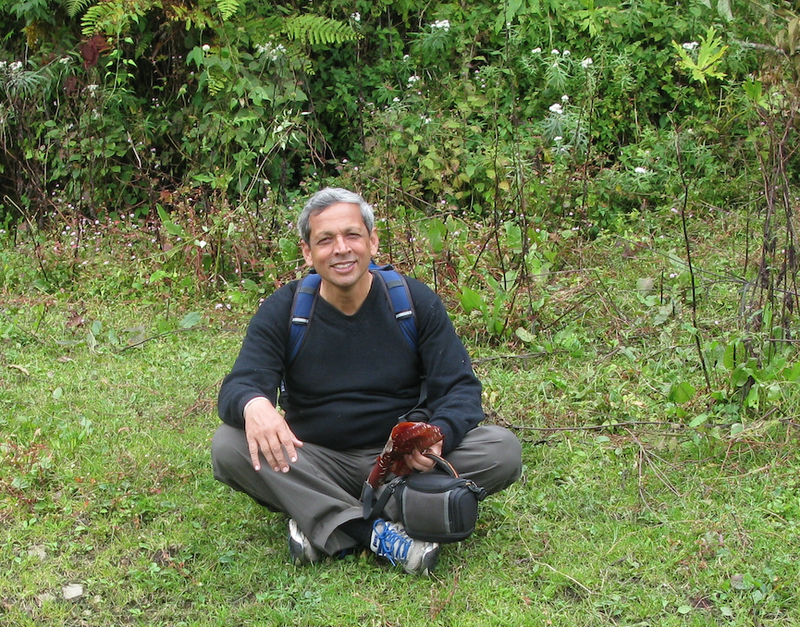 Thanks for your crusade for saving the Arjun. Time for a shake up at DGMF. Can you please fix the first image of Maj. Gen. Shiv Jaswal.The thumbnail doesn't open up to its high resolution image. Its very stupid to hear something like this. If IA don't want Arjun, then reject it on its look. Instead of doing this they are trying to hang an innocent. I pray to god may this idiot get killed next morning in a road rage or his black ambassador with red light jumps in a ditch or hits a tank may be Arjun. Puskis listen, from now onward think indefinite times before writing anything against ARJUN. Hats off Arjun you are a real Daredevil! CVRDE is Combat Vehicles Research & Development Establishment and not Central Vehicle ... Correct the error pls. The photos Gen Jaiswal is not opening. and the hit coordinates on the thumbnail is not visible if you copy as such. The link needs to be checked. rahul, anonymous, talk sense people. the dgmf guy may be stupid, arrogant and misguided but saying what you guys did is much worse. be sensible and desist from such nonsense. two holes in the target he aimed at testified that a soldier without previous experience operating tanks could get into the Arjun and use it effectively. Tell that General, the tank is not an AK-47, that anyone without training would be required to fire.Sheeesssh..these guys..and god forbid if ever comes to that, the war would've been lost much before. And you think AK-47 can be fired without training? Ok we get imported tanks they are better. Then what imported government ? DGMF/DGMO are a bunch of traitors who must be summarily hanged. With citizens like these who need enemies. I'm glad that the Army's gonna rot with officials like these. There is a lot of money at stake. In purchases of billions of dollars a modest kick back of 10% will make every body, the army brass, the civil servant, the politician, go to their swiss bank laughing all the way. DRDO has no chance. It can not grease the palms of those who evaluate, who put the purchase order, who accept the consignment. look into the accounts an you will get your answers as to why Arjun is not preferred.....the tax payers money is any how being spent, to develop and to import. "Business Standard has learned that opposition to the Arjun remains deeply entrenched"
But what is the argument of the opposition? Why dont you elaborate it Col Shukla. "In a series of interviews with the army, including the present Director General of Mechanised Forces"
The Arjun is a good Tank not doubt about that. Arjun needs to be inducted into the armed forces overruling the judgement of the Idiot DGMF.